One of the most popular forms of cloud computing is software-as-a-service (SaaS), defined as a software distribution model in which a service provider hosts applications for customers and makes them available to these customers via the internet. While the technology world is laser focused on the software-as-a-service (SaaS), or “cloud,” phenomenon, a lot of companies still aren’t as familiar with it. That’s changing, however, as SaaS solutions continue to offer a viable software option for many businesses to traditional on-premise installations. Every day at Software Advice, we hear the same handful of questions about what SaaS is, exactly, and how SaaS differs from the traditional software model. So, we thought it’d be helpful to bring Config, one of the best SaaS – software distribution models out there to your attention. Config is a SaaS – software distribution model for managing configuration files. Config is a new SaaS company, created in 2017, that is looking for different ways to help simplify the methods of storing and accessing configurations used by apps, modules, systems, environments, server instances and it runs in both public and private environments. Config supports proprieties stored within INI, XML, JSON, YAML and TOML configuration files and includes variety of different feature which will make the lives of programmers, sysadmins and IT managers much easier. With the Config SaaS platform they can manage configuration files across all of their systems, apps, environments and instances, while synchronizing common configuration, using environment variables and viewing differences between the environments. It is a SaaS solution with amazingly easy to use web interface and there is no infrastructure required. Config offers IT professionals a hassle free configuration management. It comes with version control, which means it supports semantic versioning, change history, change notifications and locking. If they work within a team, Config helps them track configuration changes made by other team members and they will be notified by email for every change made, or they can view the change history. They can also review and approve configuration changes on locked-down environments. With its useful and versatile features Config will help its users design more configurable apps. Users can also get or grant temporary access to configuration on locked down environments which is a useful option for debugging purposes. Also securely sharing configuration with all sensitive data hidden within a few clicks is available. Users can encrypt all the sensitive configuration values they need hidden. Config does not require any additional infrastructure for setup and maintenance. The Config SaaS platform comes with multiple different plans with different prices and features available. You can look them up on their official website for more information and details. If you decide to look more into the Config SaaS platform and give it a try, you can find more detailed information on their official website www.configapp.com! If you are looking for a new fun game for your android that will keep your attention and make you want more each time you play, the best choice for you is to download an arcade game. Because many arcade games are offered, finding a game that will challenge your skills while offering you endless fun and adventure is not easy. So, we did our research and we have one great arcade game that offer you to choose between two tap mini games for even more fun and excitement. Let’s discuss about it. Developed for android users as one highly entertaining and addictive tap adventure game, players will get addicted to playing on their first try, flying and enjoying the adventure. Fun for all ages with different challenging levels set in two mini games, players can choose what they want to play while enjoying the colorful sky design with fun sound effects each time they time and fly. Players need to be careful if they want to win high scores by avoiding the obstacles and trying to get high scores for their skills of tapping and flying their bird as long as possible. On the Tiny Flying Animal Adventures players will get to experience two different and exciting mini games placed in one app. The game is keeping them interested in playing constantly and players get to choose between the go the distance game and the fly high game. On the first arcade game, all players need to do in order to progress is to tap the bird and get her up. 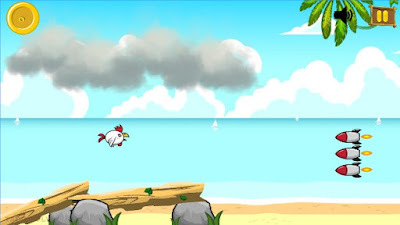 On the second game, players need to tap the screen to keep the bird flying further as possible between the many obstacles. In the two games, players need to be careful avoiding the bombs and the rockets that want to end the game. Also, in the two games players have the task to collect the coins on their way and those coins can be used for unlocking even more fun flying animals for playing. Just keep the bird flying on this endless tap game and enjoy the adventure! Download the game now on Google Play for free to fly high and progress in the flying adventure! Wi-Fi can be found anywhere nowadays, and the best Wi-Fi is free Wi-Fi. If you are looking for an easy way to stay connected to the Internet, free of charge then all you need is the right app to help you with that. By using an app for this purpose you will be able to find accessible free Wi-Fi hotspots around you and connect to them. We did our research and we have for you one amazingly helpful and efficient password sharing app for your Wi-Fi needs. Let’s discuss it. Developed for android users, with user-friendly interface and very easy for using, this app for password sharing is created as a community where users can find all available hotspots around them and keep connected to the Internet world no matter where they are. All users need to do on the app is to find and connect to WiFi passwords for free Internet access all over the world. This incredibly helpful app is available in many places in the world like America, Europe, Asia, Australia, Middle East, Russia and even Africa, helping users to save time looking for free WiFi passwords and hotspots. On the WMO – Global Free WiFi, users can easily and quickly with the app’s amazingly efficient features enjoy Internet access anywhere they are. 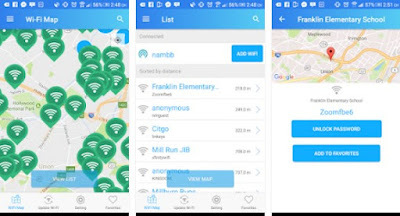 This app is only asking for the user’s GPS to be enabled and with that is searching for all accessible WiFi hotspots and free passwords around him. The app is finding all free WiFi passwords around the user and he can connect to them immediately. Providing the users with millions of free WiFi passwords, with hotspots from restaurants, cafes, hotels and more, users can find always an accessible hotspot to connect to. One of the app’s features that can be quite helpful is the map where users can see all available free hotspots around them and use them. If the user wants to save a hotspot for using it again, he can save it in his favorites. Also, the app has to offer the feature of list views that contains all the passwords and comments for them. 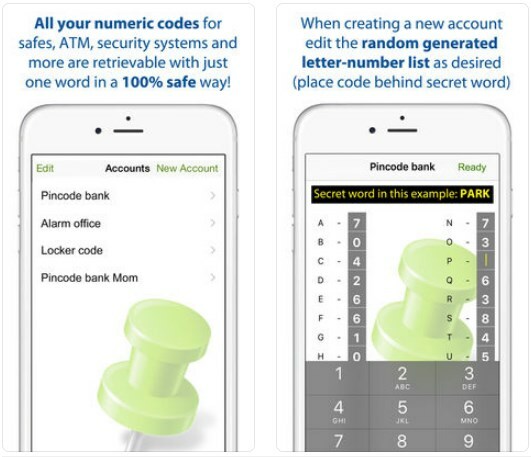 The passwords users on the app can be shared with other users, helping each other to stay connected to the Internet without any effort. Always and anywhere in the world, users will enjoy connecting to the online world for free. Download the app now on Google Play for free and find millions of free WiFi passwords available! Technology is a large part of our lives and why not put our technology to good use. We can use our smartphones and apps on them to relax, get motivated and inspired, be mindful, and stay happy. For everyone that looks for guiding and help to become more positive and change their lifestyle for having better days, there apps to help you. We did our research and we found the app that can help you lead a positive life and start each morning positively. Let’s discuss it. Developed for android users as the ultimate guide for leading more positive life, this social app offers the help users need in order to change their way of thinking and have better more positive days. With the simple interface, very easy for using, the app has to offer the right helpful tools that are allowing users to learn how to become more positive and start each day as positive as possible with the daily positive uplifts. Just with a touch on the screen, users will become more positive, motivated and inspired to make changes in their lives in order to have better more positive days. The Posivibeman as the ultimate guide for positive lifestyle is especially designed as a simple app that offers the right features and tools for users to learn how to think more positive each day. Just by using the app, with the click on the phone users will be able to have their daily dose of uplifts and start each morning positively. With the help of this social app, users will be able to create for themselves better days and change their lifestyle. With reading the stories offered on the app, users will become motivated and inspired to create changes in their lives and think positively. Also, on the app users can watch different motivational and inspirational videos that will push them to change their lifestyle and become more positive each day. With the community stories offered for reading that are stories from real people other users can motivate themselves to lead a better positive lives. 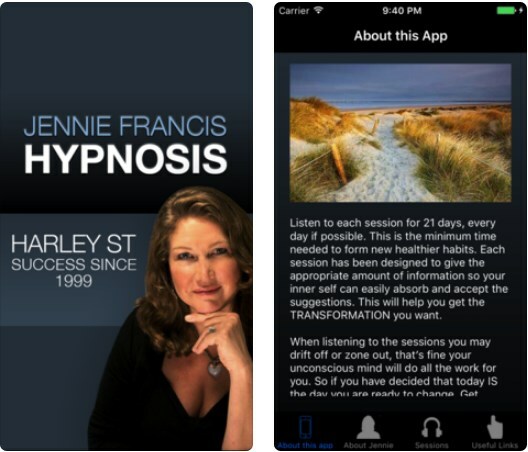 Easily and quickly, just with this app users will learn the best tools for changing their life and becoming more positive. Download the app now on Google Play for free and live a more positive life each day! If you're a shopper of any kind, consider using a shopping app to help you save time and money, finding all that you need and the best place to buy it with just a touch on your phone. But what if you need a shopping app to help you just learning and browsing the sneakers market? Luckily for you, there are apps specifically designed for this purpose. We did our research and we have for all sneakers lovers one great shopping app to keep them informed with the market of sneakers. Let’s discuss it. Developed for IOS and android users as an efficient and useful shopping app for the sneakers market, users are able to easily browse the market place, stores and verified sellers of sneakers to get informed with real time accurate information that will make them the most informed buyers. By using this app, users will easily find out what are the best places and prices for buying the sneakers they like, learning about the hottest sneakers on the market offered. Users will easily and quickly find the shoe they are looking for, saving time and money. The features offered for buyers and sellers of snickers are helping users that need complete information about the marketplace and sellers of sneakers. 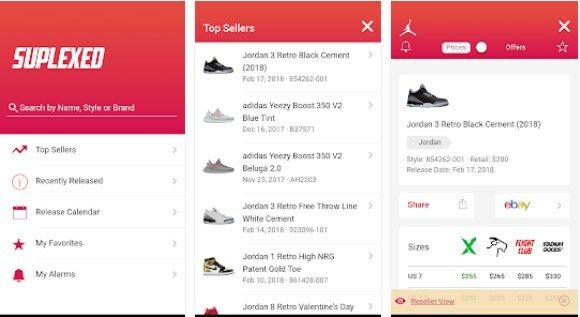 Users on the app can compare the prices of sneakers offered by different sellers to learn about the best place for buying them. Sellers can use the app too for learning about the best places to get the maximum return for the sneakers they are selling. The app saves time by letting users to simply set price alerts and wait till the prices of the sneakers they like get to the price that is suitable for them. Sellers can set price alerts to get notified when someone is ready to purchase those sneakers for the price they are selling. All information data that is offered by the app, users can share it on their social media to simply let others see their favorite sneakers or help them to learn how to save money and time. The users can share charts, data, web links and other time stamped info as well. The app is also offering reseller features to save time of sellers to learn about the pay-out after all the fees and the app is keeping users happy by giving them various promotions and giveaways constantly. Download it on Google Play and App Store to browse the best prices and places for buying sneakers! Get ready to meet like-minded individuals who have interest in multicultural and interracial relationships locally or internationally with our Dating App of the Month. It’s called Mix Amore and it’s one of the best matchmaker apps we’ve ever reviewed on our site. Let’s see what it has to offer. Developed for android users, this matchmaker app is offering all its users to find the happiness they need at reach of their palm. All users that are interested in multicultural and interracial relationships locally and internationally, by using the app they can search and find their perfect match easily and quickly. Very easy for using, just by verifying an account with a selfie, users can connect between each other and find love. 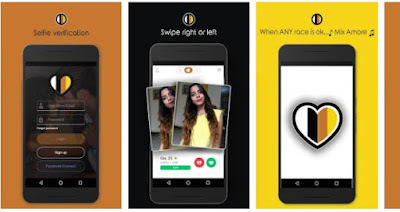 Suitable for anyone, no matter if a person is Latino, White, Black, Asian, Indian; the app finds like-minded people and connects them to find their perfect love and relationship. Mix Amore as one very unique dating app is helping all its users to find the perfect match by searching for like-minded people that are interested in dating locally and internationally, forming multicultural and interracial relationships. The app’s helpful and useful features like user traditional search and the compatibility matching is helping users to search and find their perfect match without much effort. Users just by swiping left or right can choose if they like the other user or not. If two users want to chat they can easily do that by using the app’s feature for real time messaging. On the app users are able to upload as many photos as they want and they only need one selfie to verify their account and start their search. With the help of the dating algorithm offered, the app is letting users know if there will be any future ‘’twifing’’ between them and their match. The app is giving users push notifications constantly not to miss their perfect match and by using the hotlist the search will be easier for any user. Download the app for free on Google Play to look for like-minded people for dating and relationships! Our Finance App of the Month is called The Money Pouch. 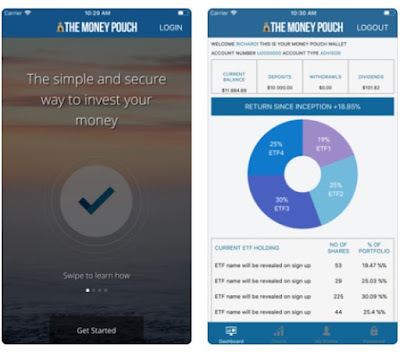 It is a free powerful finance tool for both Android and iOS users that want to have an efficient and useful wealth management app, one that will take the hassle out of their stock trading and investment managing. Read on and see why we love it so much. Travelling it’s a joy for sure. Still, traveling brings with it many inevitable headaches that can drive you crazy. To help yourself, make the whole experience of traveling less of a hassle the right trip checklist app can give you a hand. Many travel planning apps are offered to help you with the organization of your trips by making lists and schedules, reminding you not to forget anything when you travel. We did our research and we have the right app for this purpose. Let’s discuss it. 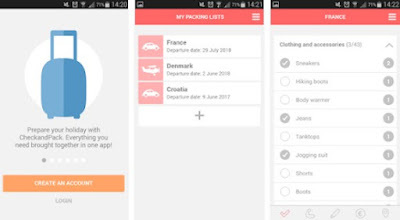 Developed for android and IOS users, very easy to use and customize, very efficient and practical, this holiday checklist app is allowing its users to never ever forget anything when they are planning any exotic trip like hiking trips or backpacking trips. 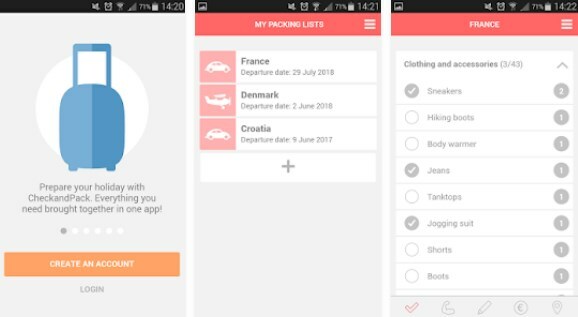 Users with the help of this app can create and manage lists with things they need to do or items they need to bring on their trips, saving a lot of hours by planning their trips ahead. By using this planner app, users are able to organize the most practical lists and enjoy their holidays without the need to write things down or worrying about forgetting anything. The Check and Pack has to offer all travel lovers, incredibly helpful and practical features when they are planning their next trip. On this app, users can manage, organize or reorganize lists with items and things to do, planning ahead their trips. The app has to offer 650 items in 11 different categories for making lists or users if they need to can enter their own items and categories. When creating a list, the users can use the pre-loaded lists of the app or they can make their personal list with editing features for customization of their own checklists. Each planner and list created can be reused by the user multiple times if he wants to. Each item entered in lists can be edited, deleted or rearranged if the user need to. The app also can be shared with user’s friends and family when they are planning holidays ahead to make organization of the trip easier for all of them. Also, the app has to offer helpful features like photo backup for the lists, making a list for tracking expenses on the trip, creating travel schedules by the user and the option for the user to add notes if they want to. Download the app for free on Google Play and App Store to check and remember everything for your travels! Setting up carpools and managing the school rides for your kids while finding people you trust to drive your kids to school or anywhere else is not easy to do. If you are looking for a way to simplify your life and save time by finding trusted people to carpool your kids, there are apps to help you with that. Among so many apps offered, we did our research and we have for you one incredible productivity app for organizing carpools for your kids with trusted families and friends. Let’s discuss it. Developed for IOS users as one easy to set up carpool organizer app that is suitable for busy and active families, schools and teams, this app is helping users to quickly and easily set up carpools for their kids with people they know and trust, such as friends, families or neighbors. The app is offering users complete information needed to organize and manage carpools anytime on reach when they need them, making each carpool completely safe for the kids. With the help of this app, parents will save a lot of time and simplify their daily life by finding carpools for their kids with trusted people. GoKid has to offer various practical and helpful features to make the user’s life and the life of their kids easier, helping them organize carpools for kids easily and quickly, without much effort. By using this carpool tool, users are allowed to send automated invitations and schedules to other parents, avoiding all these long chain messages, saving a lot of time. Users can get all carpool information needed whenever they want, getting the chance to do optimization of routes, to look at maps, get reminded and learn about the families that do carpool by looking at their profiles. Parents can invite other parents and kids to join their rides. With constant information available for carpools dates and times, event location, pick-offs and drop-offs, info about who’s driving and who is joining the ride, parents can constantly keep track. Parents will also get reminded when is their turn for carpool rides and get notified if there is some change in schedules. The app allows users to choose between monthly billing of $4.99 or yearly billing of $49.99. Download the app now on App Store and get all carpool info on one place to simplify your life! Social networking apps are certainly one of the most popular apps we use on our smartphones. After some time of using the same social app it can become quite boring. Luckily for us, nowadays, many new and interesting social apps are created to help us meet people that we share similar interests with or to just share our opinions or thoughts with. We did our research and we have for you one great social app, one friendly and safe community. Let’ discuss it. What is so special about this social network? 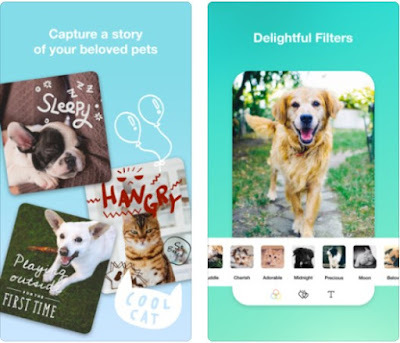 Developed for android users, only by registering a profile, this social app is a community that is created by a user for all users that want to post and share opinions and meet new friends that share their interests. On this social networking app, users are offered to leave their impact on their community by discussing and reading stories and news that matter, connecting with users by using direct messages and follow the people they like. Giving users fresh and interesting information and news, this app is not allowing any type of harassment or discrimination, with completely friendly approach allows users to enjoy their time in the community. The Echo as social networking community is offering its users to enjoy spending their time reading, posting and following interesting people with who they can share similar thoughts and interests with. With this app, users will be able to follow people they like and chat with them or let others contact them by using direct messages. Users can read many interesting stories and news that matter that are posted by others and post their own profit posts where other users can comment if they want to. The user’s newsfeed is constantly offering him new and interesting things to read posted by other users, letting him to keep track of what is new in the community or to simply learn the new trending in the community. Users will always be on track of what’s happening, never missing a thing! 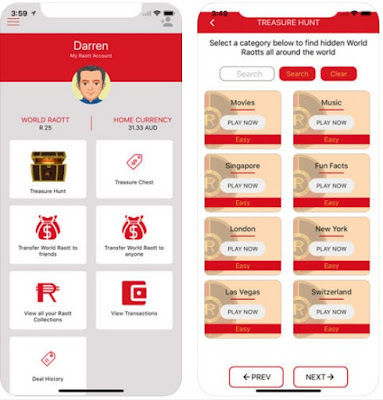 The app is keeping users always updated on the news and changes in the community, allowing him to enjoy his time being a part of this community, meeting the people that share similar interests as him and discuss with them on any topic he likes to. Download the app on Google Play for free to follow people that share your interests! Arcade games can make you feel like a kid again, and take you back to an era where the graphics didn't matter, and you filled your pockets with quarters trying to beat your favorite game. Your Android devices have more processing power than an old arcade game did in the 80s or 90s, meaning plenty of companies have transferred over classic games to the mobile platform allowing you to play some truly memorable games in video game history. Whether you're looking for an old classic or a newer title inspired by arcade games of old, here's one of our favorite arcade games for the smartphone and tablet – Hero Escape. Hero Escape is a cool and unique arcade game that features an endless gameplay, playable on both Android and iOS devices. Whether you’re 7 or 77, the game will keep you entertained and addicted for hours and on. It is designed with amazing visuals, awesome sounds and a very challenging gameplay that will put your reflexes to a test. The main goal of Hero Escape is to run, jump and avoid obstacles on a randomly generated platform. You will have to be quick and focused at the same time, and that is if you want to score higher and win rewards. All you got to do is run on the platform, jump to overcome the dangerous obstacles on your way and collect coins that will help you unlock new characters in the game’s shop. If you tap once on your screen, you will do a single jump, and if you tap twice, you will do a double jump. You’ll need the single jump to overcome the obstacles on the road and to make turns, while the double jump will be needed to jump over a broken road or to cross multiple obstacles on the road. There is also a giant stone ball rolling behind you, following wherever you turn, so try not to slow down or else you’ll be ran over by it. Challenge your tapping skills, export GIFs and PNGs of your gameplay, share your scores with friends and family and enjoy different backgrounds each time you load the game. Download Hero Escape for free from Google Play or from the App Store. There are plenty of hotel and flight booking apps available to help you find and book hotels and flight tickets for worldwide destinations. But not all of them allow you to compare prices and find the cheapest one before booking a hotel and flight. Luckily for you, we did our research and we discovered one great app for you travellers that will help you find the cheapest prices for flights and hotels and book with saving money each time you travel. Let’s discuss it. Developed for android users as one highly helpful and useful travel app that is easy to use with simple interface to help all travel lovers look for the cheapest booking price for hotels and flights. By using the app’s help, users will be able to save a lot of time and money with finding the cheapest prices for flight tickets and hotels for any worldwide destination they want and book the prices that suit them fast and easily. This app allows users to enjoy their travel time with saving them money each time they book a hotel or flight, finding for them the best prices as possible. The CompareHunt is especially created with efficient and effortless features which are helping users to save money and time each time they plan their travelling arrangements. By using this travel and booking app users are offered to use the information from 200 different booking websites to compare prices of flight tickets and hotels in order to find the cheapest price they need and book it easily. Users can look for flights and hotels for any worldwide destination they want to. All the users need to do in order to find the best and cheapest prices for flight tickets is to enter on the app information about the location for travelling, the number of passengers and the date they want to book the tickets for. If users are also looking for the cheapest hotels as possible they can use the app to find the best prices by entering their current location, the date and time for checking in and out of the hotel and the number of people that want to stay in that hotel. Simply and very practical, the app offers effortless way for travelling without worries and saving a lot of money by booking the cheapest hotels and flights. Download the app for free now on Google Play and find cheapest hotels and flights for any destination! After unboxing your new smartphone and satisfying your eyes on its glory, you’ll probably want to test its potential with some heavy graphics games. Smartphones today are even better than most hand-held consoles, so you can expect some amazing games with realistic graphics in the app stores. 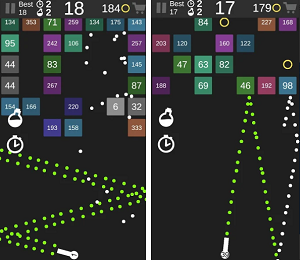 If you are ready to bedazzle yourself with some breathtaking smartphone games, then check out our pick from the high graphics games for Android and iOS. Finding epic adventure for a crazy fun time it’s not so easy, but we have already then that job for you so please read carefully. 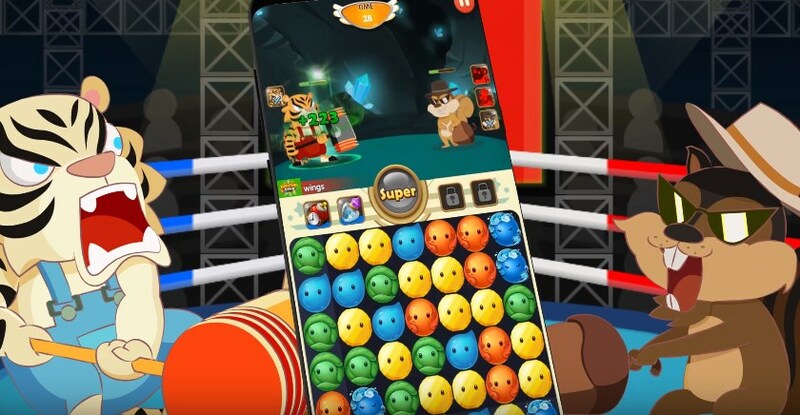 We want to introduce you the charming and addicting Adventure Island – Super Boy Game App that must take a place into your mobile games collection if you’re looking for some high-quality entertaining way to fulfill your free time. With fantastic graphics, amazing animation characters and quite interesting sound effects and music, this game will hypnotize you and throw you in hours of exciting and intense gameplay. Prepare your Super Boy to face 20 enemies, traps and obstacles that gets more difficult as open new levels. That’s why we suggest visiting the game store where you can upgrade your character with some special items to win the game successfully. There will be also hidden bonus items and coins that make the platformer game more enjoyable to play. If you find Adventure Island – Super Boy as a game app of your taste, don’t wait a second longer and download it immediately for free on these App Store or Play Store links. Enjoy it, and write us back your experience! Have Fun & Tease Your Brain with Sudoku S.